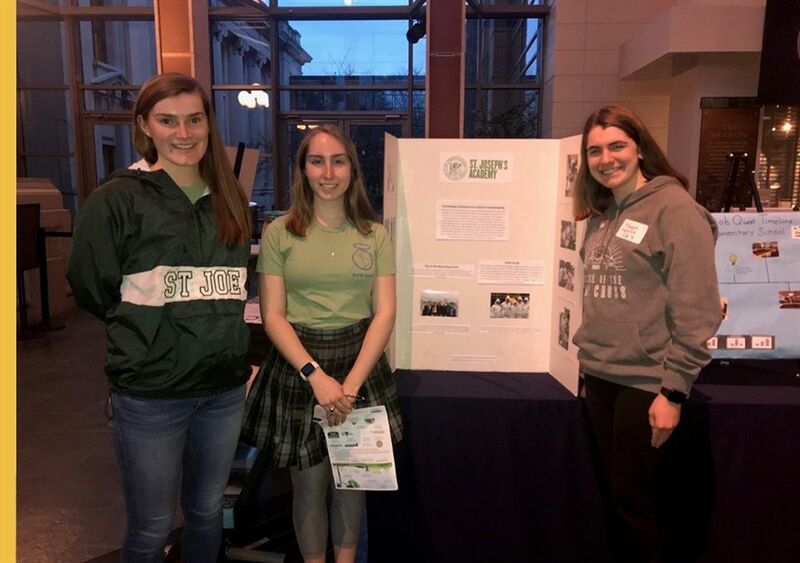 Earth Angels recently entered the Green Schools Quest Competition and attended an awards event at the Missouri History Museum. Fifty-nine schools entered the competition and Earth Angels placed as finalists in the Sustainability Champion category. Picture is with Earth Angels President Lauren Harrison, Trex coordinator Sydney Hilker and member Maggie Hannick in front of their display board.